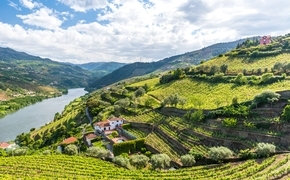 As river cruising continues to grow in popularity, lines are branching out and diversifying their products in order to target families and multigenerational travelers. Last year, Adventures by Disney entered the river cruising space through a partnership with AmaWaterways, whose AmaViola and AmaStella were custom built with connecting staterooms designed with the family market in mind. Adventures by Disney’s inaugural Danube River itineraries were so successful that the company broadened its offerings to Rhine River itineraries and will also feature an adults-only themed itinerary, the eight-day “Food & Wine – Rhine River Cruise,” later this year. Last summer, Agent@Home set sail with Adventures by Disney on board the AmaViola on a Danube River sailing. Accommodations. Staterooms on board AmaViola are spacious for a river cruise ship. The vessel features AmaWaterways’ signature twin balcony layout – with French balconies and outside balconies – and range in size from 210 to 235 square feet. For your family clients, be sure to recommend categories AA and AB, which accommodate three guests with two twin-size or one queen-size bed and a foldout chair that converts into a bed in the evenings. AmaViola is also equipped with four suites measuring 350 square feet, which accommodate up to four guests. All staterooms feature complimentary Wi-Fi access, Apple computers that double as televisions, mini-fridges, bottled water, on-demand entertainment, streaming movies, and bathrobes and slippers. What’s for dinner? Dining is all-inclusive and family friendly. Families have several options to choose from at dinnertime. Kids may choose to dine with their parents in the main dining room, or they can head to the lounge for a kid-friendly feast supervised by Adventures by Disney staff. This option enables parents to enjoy multi-course meals while kids play games and are entertained upstairs. The Chef’s Table, AmaWaterways’ signature restaurant, is also available for fine dining in the evenings. As on all AmaWaterways sailings, wine and beer are included during lunch and dinner. Entertainment. AmaViola provides a robust portfolio of kid-friendly entertainment options – from pirate nights to karaoke to spontaneous dance parties. In Budapest, home of the Rubik’s Cube, a demonstration shows kids the skills it takes to figure out the puzzle, enabling them to try their own hands at solving it – and they also take home their own Rubik’s Cube as a souvenir. In Vilshofen, Germany, guests participate in a Bavarian welcome dinner, featuring traditional music along with a dancing pretzel. Inevitably, the most popular form of entertainment for children is splashing around in the sundeck pool. Excursions. Adventures by Disney does a fantastic job of combining kid-friendly excursions with appealing options for adults. In Austria, highlights include tracing the footsteps of characters from the “Sound of Music” in Salzburg, cycling in the Wachau Valley and getting lost in the palace maze at Schonbrunn Palace in Vienna. At every call there are several excursions to choose from and each one has something special to experience. While tours are designed to keep children engaged, they are also enticing for parents. Adventures by Disney guides find ways to impart a considerable amount of historical facts in fun ways that keep the attention of the children while giving adults substantive information. 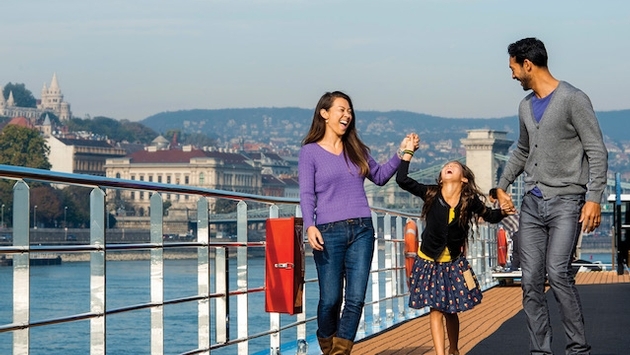 Tauck was one of the first tour operators to dedicate river cruise sailings to families with kids ages 4 and up through its Tauck Bridges program. New itineraries include “Family Fun Along the Seine: Paris to Normandy” and “Bon Voyage! France Family River Cruise,” which are offered in addition to itineraries on the Danube and the Rhine. The company is offering several “Generations Family Cruises” in Europe in 2017. Children 4 and up are welcome on board, and they cruise for half price on select departures. Travel agents shouldn’t shy away from booking families on traditional AmaWaterways sailings. On a recent Christmas markets cruise on board the AmaCerto, my two daughters were the only children on the ship. Guests and crew welcomed them with open arms. The staff scheduled a gingerbread-decorating class for them, taught them how to make towel animals and presented them with presents. We were never alone at a meal, and my children met more people on board than I did. To say they had a good time would be an understatement. A version of this article appears in print in the February 2017 issue of Agent@Home Magazine.